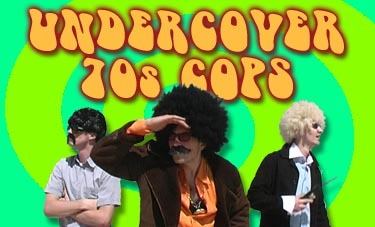 Undercover 70s Cops is a music video based loosely on the famous Beastie Boys Sabotage video. There's no plot as such, just a bunch of guys in ridiculous disguises running around catching criminals to the funky sounds of Grebeau. A selection of stills from the video can be found in the photo gallery. Some information on the filming of the video. The film is available to watch here.